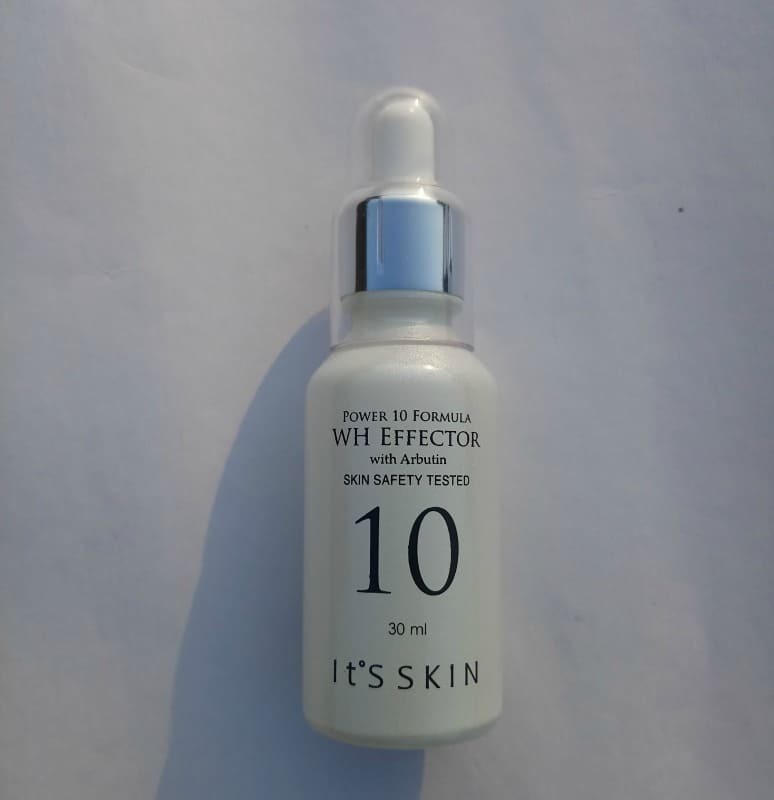 It’s Skin Power 10 Formula Wh Effector – For Hyper Pigmentation ! 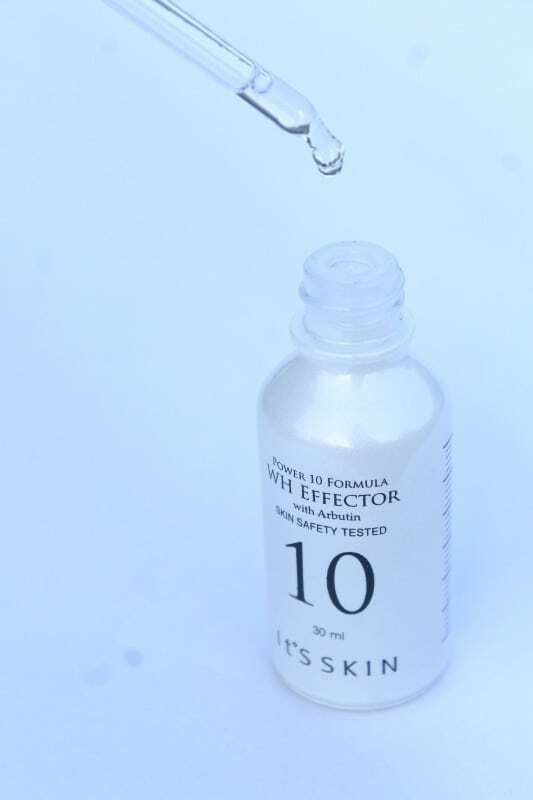 Home ReviewsBeauty It’s Skin Power 10 Formula Wh Effector – For Hyper Pigmentation ! Korean skincare is the latest buzzword in town and if you have missed out on it till now, here’s a guide for you to take baby steps towards it. I wanted to try out Korean skincare for a long time and after some research decided to give this serum a try. This It’s Skin Power 10 Formula Wh Effector turned out to be a pleasant surprise! Take 2-3 drops and tap it gently on your skin while spreading it slowly on your face and neck area. Use after the toning step of the skincare routine. The product comes in a small 30ml glass bottle which has been painted white. It’s difficult to see the amount of product remaining. There is a dropper attached to the cap and the end is slightly bent, which makes it easier to get the product out when it gets very low. The cap has an additional transparent cover which I personally like, just feels more hygienic I guess. The serums do not come with their own box, so there isn’t any information about the product except for what’s written in Korean at the back of the bottle. The bottle is compact and travel-friendly. The product is colorless, clear and transparent. It has a very thin consistency and a watery texture. It gets absorbed easily if applied directly after a toner and dries to a soft finish with a light sheen. It has a very faint smell which might be a con for some but it’s not that prominent. It kind of smells ‘clean’, if you get what I mean. I have been using this serum for two months now and still more than half of the product is left. For the first few weeks it didn’t seem to make any difference to my skin, but after a month I could definitely see it did make my skin brighter overall. It also works well for fading scars. I even used it on my hand where there was some scarring on the wrist area and the scars have now mostly blended in. It took some time but was definitely worth its claim. -Also contains licorice root extracts which help diminish the appearance of dark circles, discoloration and age spots. It has powerful antioxidants and helps balance oil. -It takes at least a month to show results. -It contains slight fragrance which might be a negative for someone highly sensitive towards the smell. -It does not bleach your skin or make it fairer. It is helpful only for hyperpigmentation and brightening the skin. -Slightly pricey for a 30ml product. Yes, I do think I might repurchase it again. After about two months of using it, I can now say that some of my scars have lightened and my skin is a little bit brighter in appearance now. I remember one day my sister complimented my skin saying whatever I was doing was working. The skin also feels a bit hydrated after use. If you have the patience for it to show gradual results and have the perseverance to use it regularly, then you must definitely give it a try! Innisfree Olive Real Lotion is Pretty Amazing ! So with this one we need to be patient for the results. Can I use this serum before I apply my makeup?Is there any other serum that you would recommend that i can use when I do dewy makeup? Great picture ? ?nice product !!! !